It must be Sunday morning because I’m making breakfast cookies again. Here they are before baking. There are three things that are a constant in my kitchen (besides me)… three things that when I almost run out, I make more. They are: breakfast cookies, granola bars, and tortillas. This morning I ate my last breakfast cookie, there’s one tortilla left and I made granola bars yesterday. So it’s breakfast cookie and tortilla-day today. Are you wondering why these three? Because you can’t buy anything even close to homemade tortillas. My granola bars are out of this world. 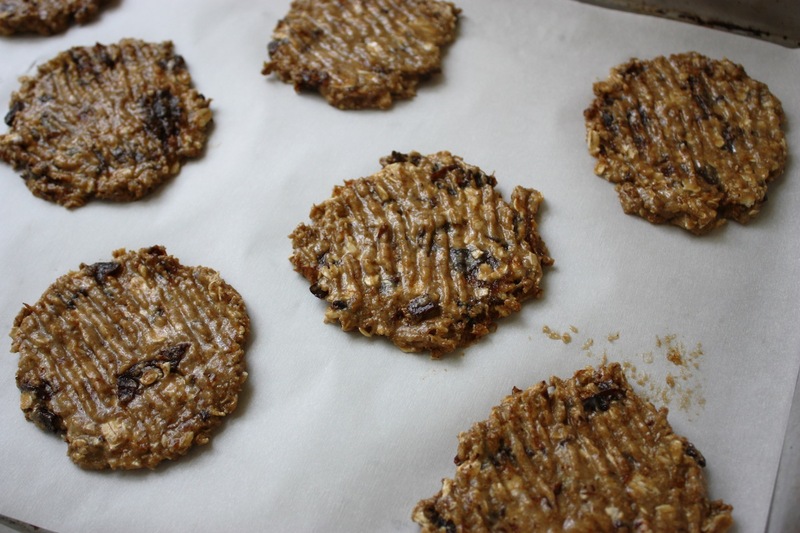 And my breakfast cookies may not be pretty, but they are fantastic, especially if you want more fiber in your diet. Those are chopped prunes you see there… or wait… those could be pieces of dark chocolate! 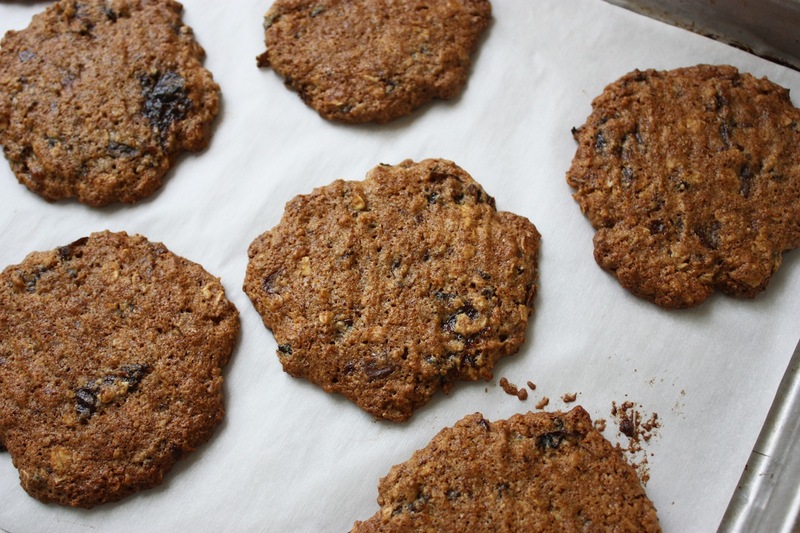 These are cookies of substance, great taste and texture, and many health benefits. Dark chocolate benefits the heart and all that fiber benefits your digestive system and keeps you regular. As for prunes, besides fiber, they are very high in antioxidants. Prunes benefit your eyes, heart, immune system and can help prevent bone loss.